Mrs. Vara (Ferguson) Smith died April 13, 2019, at the age of 101 to have her resurrected life now in Eternity. Funeral services will be at Atlanta Baptist Church Friday, April 19 at 10 a.m. Visitation will be at Southern Funeral Home Thursday, April 18 from 5-8 p.m. Mom married J.P. Smith Sept. 20, 1941, and was widowed when Dad died after only 22 years of marriage. Together they had three children, Goldaree (Robert) Sommerville, Rodger (Marilyn) Smith and Rayburn (Emily) Smith. Mom took great pride and joy in her nine grandchildren and 17 great grandchildren. 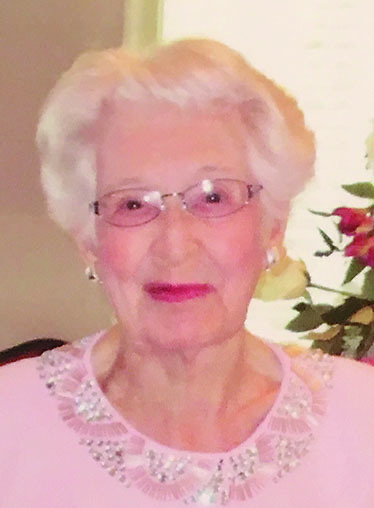 See full obituary in the Thursday, April 18 print edition.